Mr Rowe, who has been practicing law in the VI for more than a decade, was at the time a guest on the online radio show, Fresh Radio Vybz with host Paul A. Peart aka 'Gadiethz' on January 7, 2018, when he disclosed his personal view on the controversial issue of marijuana use. California recently became the latest state in the United States of America (USA) to decriminalise recreational marijuana use and this sparked fresh debate locally on the topic, including whether the Virgin Islands should take a similar path as California. 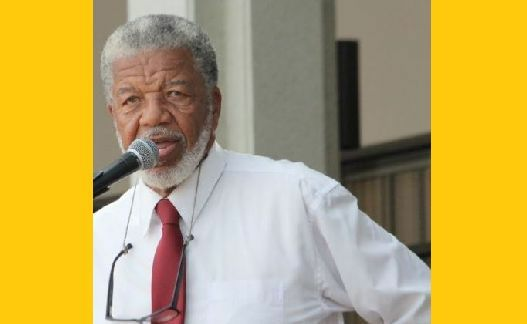 In the past, talk show host Doug Wheatley and even Minster for Education and Culture Hon Myron V. Walwyn (AL) have spoken out against incarcerating persons for marijuana use. And according to Jamaican attorney Mr Rowe, society should not be prosecuting persons for a substance that is scientifically proven to be less potent than alcohol and tobacco. Further, he said the herb has proven to be of medicinal value. According to him, the law has to be enforced in the VI as legislators require. Host of the ‘Speak Out BVI’ radio programme on ZBVI 780 AM, Doug Wheatley on October 4, 2016 had suggested that a halt on imprisoning persons for the use of marijuana is more practical for addressing the overcrowding of Her Majesty’s Prison in Balsum Ghut. He continued, “First of all I think we need to stop putting people in jail for marijuana and that will create quite a space in the prison. We don’t need to do that because we understand it has been said over and repeated times that marijuana is not a drug and we should not be locking up people for smoking them and that will free up a lot of cells,” Mr Wheatley had pointed out. 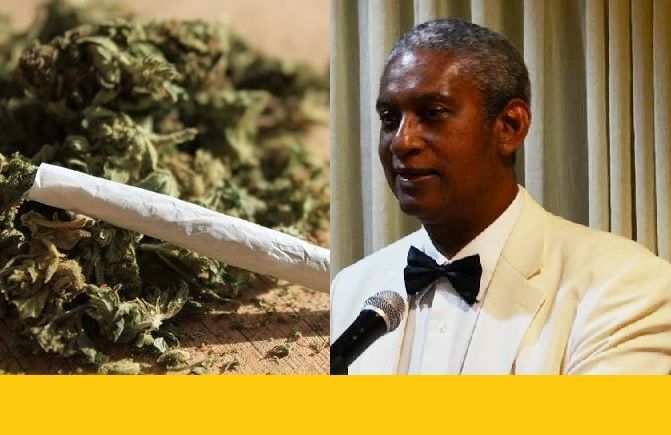 It was on December 14, 2017 in the Virgin Islands House of Assembly when the Minister responsible for youth and for prison, Hon Walwyn, called for the VI drug laws to be amended so persons would not be imprisoned for small quantities of marijuana. According to him, too many young men in the VI were being jailed for tiny amounts of weed, noting that throwing persons in jail for simple drug offences placed them at risk of getting involved in future crimes. the BVI should not facilitate members of the judiciary who are hell bent on expressing personal opinions. Any educated person will know that this type behaviour from a person who is paid to separate self (personal onion) from job, to be unbiased in their judgments, and to uphold the laws of the land without respect to their personal objections to such laws Is a recipe for disaster. Stop trying to control others. The Man has a moral and a Godly right to speak out against what he sees as wrong.. He is a special man.. These men don't come around often.. This is not about right and wrong. In fact I happen to agree with his words but not with him as the SOURCE. He must play his role without and hint of partiality. Otherwise he should step down from the magistracy and then yap all he wants. He is violating his oath to this country and the magistracy to uphold the laws. Someone seems to want this man job. Option his freeeeeeee! @bvi - isn’t thisna democracy? Does he not have a rite to voice his personal/professional opinion? It’s plebs like yourself whom are the crux of the problem here in the BVI with limited reasoning capabilities! Keep calm and carry on - one day you might inherit some sense. To bvi - You are so silly. What you said he should be doing is exactly what he does (SEPERATE HIS PERSONAL OPINION). Wow....you clearly didn't read all of the headline. Let me help you. This man is crafty. He knows quite well that no action can be taken against him on the rules /boungaries of "Freedom of expression" You can say what you like he could pursue a successful claim against anyone who takes action against based on his ecpressions along as they remain within the scope of law and is no way slanderous etc. The subject is one that has been and should be discussed. However i will allow the experts to sort it out. I have a choice and I choosed not to use the stuff. Everyone must make.their own choice. That is Myron for you anything to stay relevant. Maybe murders, thieves, child molesters, etc. should also be let go also to relieve overcrowding in the prison. Laws are written because things are bad for the general population. If someone chooses to break the law, they should go to jail. @ Edward. By your logic then, breaking a traffic law should result in jail time. How would you feel about doing time behind bars for breaking a trivial law such as running a red light or being in possession of an illegal flower? That's right. Because 'they', AKA the Whitey's, coerce local government into making themselves exceedingly rich at the expense of local people. You see, the wealthy BVI families didn't rip off their own people because they wanted to, they did it because Whitey forced them to do it. Just like how Whitey allows himself to be ripped off by locals, because Whitey has all the power. Naturally. while we are still busy debating this issue on the merits of legal, illegal and social terms, the consummate "capitalist" is busy making billions from the "plant," just as any far sighted mind with broad and historic developed world views were saying for decades. The Americans and Europeans will change their laws as soon as the political tide had changed, that they can make the illegal legal and thus capitalize upon a billion dollar industry. The baby boomers and sixties "flower" children/people have arrived in political power and their views were brought with them. Thus the evident legislation flooding every state political halls for legalization of weed in the US and Canada in particular. Meanwhile, every one else appears stuck a in moral and legal whirlpool, while a few governments and countries are doing the capitalist thing, making money. So our government and society, in particular, can continue to keep their heads buried between their moral and religious legs, while the rest of the world gets richer from that God given plant. its simple. make it legal and take it off the books. How on earth can a natural plant be illegal. I could never understand the logic. There are other plants out there that can drive anybody's brains in reverse if they smoke it. Its simple, some plants can be eaten, some you drink, some you cook. I can wrap a dukuna in a banana leaf but not eat it, yet I will drink soursop bush tea, but not cook it with rice. Will take spinach and cook or eat raw in a salad. You got to know what to do with each plant/herb. Wonder what will happen if I take a smoke of spinach buddy. A relative with parkinsons get some ganga tea the other day and the shaking ease up a lot. The medicine from the doctor was giving more side effects than the ailment. The more tea he get, the less he shake and I can see the difference. Now, how can that be illegal. a lot of you eat swine even though the bible condemn that buffet. What part of illegal you all do not understand? Amen. pointed thoughts in a nutshell ! @ mussenden: man sleeping with man in this territory......here you are blogging piss!!! Here! Here! Thank you, Mr Rowe for seeing it my way! Is it that MVW is clutching at straws because he can see the progress of Pico or fahie and his hopes to ever be premier is dashed? The doctors need to prescribe marijuana for their patients, at least they would know how much to take. They need to stop prescribing medication that don't do nothing for you but causes side effects that are worse than the initial problem. Marijuana taken in the correct proportion tell me what side effects that would cause. I am sure if the queen put a law in place that all the British Overseas Territories must start planting marijuana in order to generate funds for disaster relief, it would be done without any question. Drug policy must be rooted in scientific evidence, never in raw emotion or morality.